The flow of the fast river. Static shooting. Against the backdrop of the mountain and forest. 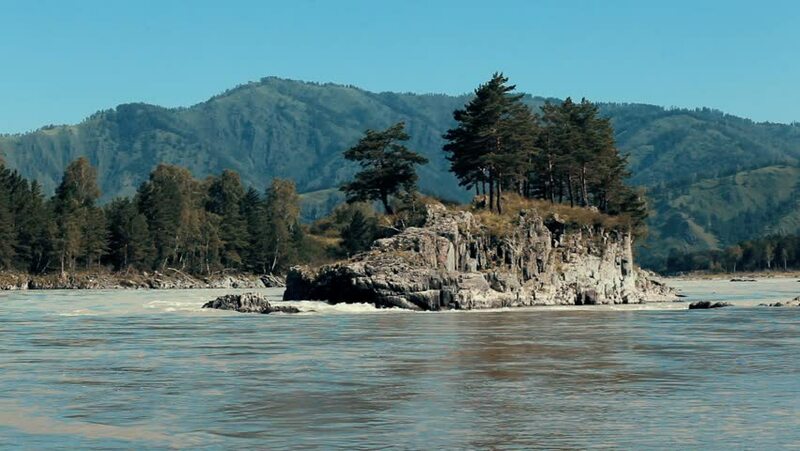 In the middle of the river is a stone island with trees. 4k00:14a view of the clean waters of the lake Como, Lombardy, Italy. edited video. hd00:18Sea waves surf on stony rocks beach. Japan Sea. Suitable for background. Close up.